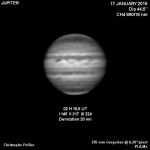 better seeing conditions on Jupiter, why ? 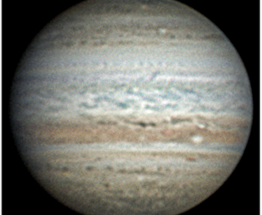 You are at:Home»Astronomical weather forecast»Some better conditions on Jupiter, why ? Some better conditions on Jupiter, why ? 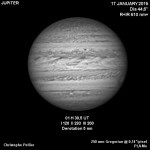 In my last article Jupiter under the jet-stream, what’s the result? I described the effect of one the worst meteorological conditions for the seeing. During my last observing night of January 17th, images were noticeably better (although still not really good…). It is possible to find explanations? 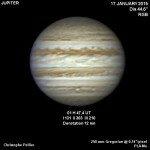 Here are some Jupiter images taken during the night from January 16th to 17th, 2015. Resolution is rather satisfying in R+IR (long wavelengths are always a good plan when conditions are not good), mediocre in RGB and disappointing in methane. None the less it’s really better than last time! On these images we see signs that the NEB has started a new classical revival phase of its life cycle. The RGB frame shows that its northern edge has become wavy, because the local jet-stream is now starting to undulate. An again most clear sign is the very dark spot visible at 284°/18°N: this is an anticyclonic vortex found in the NTrZ that is called “expansion spot”. dark clouds are going to fill in the NTrZ thanks to such spots during the coming weeks/months. GFS maps for the 17th at midnight. 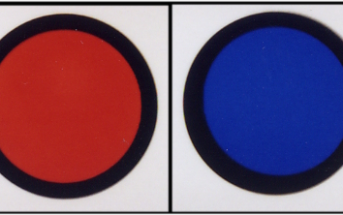 Left: ground pressure with the high-pressure ridge circled in red. 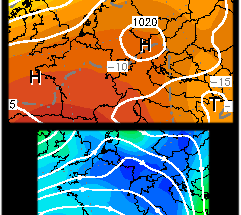 At right, the corresponding weakening of the jet-stream. 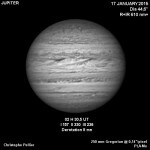 Jupiter under the jet-stream, what’s the result?